Sometimes in a bid to (attempt to) make healthier choices, I try out some bits and bobs from my local macrobiotic and organic shop. As the prices are exorbitant, this does not happen often. 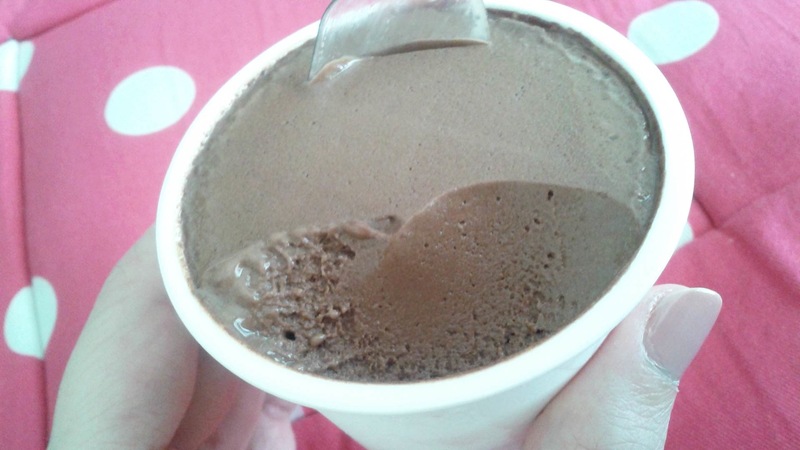 But as i was browsing one day, I felt and insane desire to try out soy milk ice cream. I did try some once from National Azabu, the import supermarket frequented by wealthy expats, but it really did leave a lot to be desired – it was not very nice. Not usually one to give up at the first hurdle, I tried again. 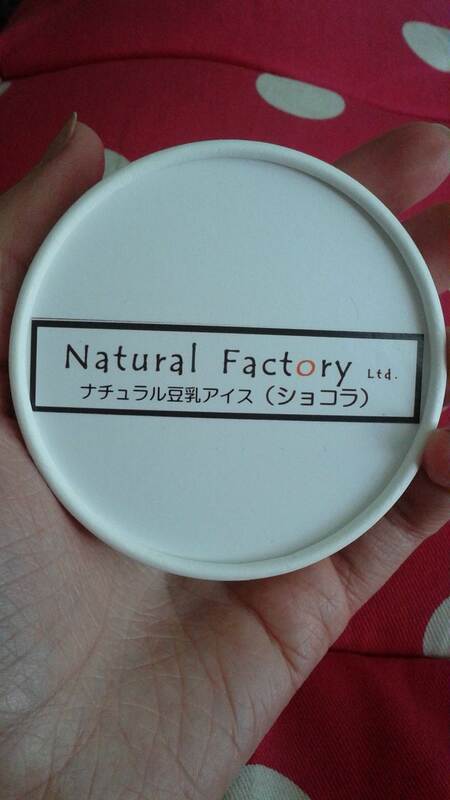 The packaging of Natural Factory ice cream is not exciting in the slightest. It is positively Spartan – plain white, with only the brand name and the flavour on the lid. Compared with other brands like Häagen-Dazs, Meiji, and Lotte whose packaging is bright and colourful, it somehow feels as though it wouldn’t compete, but it also feels more homemade. I wasn’t holding out much hope but it took only one spoonful, the first, for me to become a big fan. It was gorgeous! Smooth, creamy, chocolatey – perfection. It is definitely something I could become obsessed with if it weren’t for the price. Retailing at roughly ¥400, it is expensive enough to make sure that it remains an occasional treat (which may actually be a good thing in the end). Perhaps this means it will always be special – not a bad thing at all. Besides, convenience stores are rife with other, more affordable, snacks for when I get the munchies. This was a winner, and I cannot wait to try my next one. Hmmm, which flavour should I go with next? That is the question. I hope you are all having a great start to the week, my loves. June is here, which means the temperatures and humidity are on the rise. My self-imposed exile from society will begin very soon. I’ve already retired all of my trousers for the next four months. yum looks like chocolate mousse! Glad to hear it was good. I think I’d be reluctant, but goes to show I should try things first. Oh yes winter/spring/autumn clothes will not see the light of day for at least 4 months. 🙂 Thankfully tomorrow is to be a bit cooler, but just going out the door these past 2 days I must have lost a kilo in sweat! And it’s only just June. Aggh!! Ha ha I’ve definitely retired all of my trousers, except my cropped ones, already. If only! I will never get entirely used to the summer here, but I have definitely improved over the years. I didn’t realise people had died already, I had seen that there were a ridiculous amount of cases of heat stroke at undokai. I hope someday soon they’ll change undokai back to October, why they ever changed it to May/June or September is beyond me! Ooh I’ve never tried soya yoghurt before 🙂 How was it? Strange. I cant say I really like it but I could eat it, the texture is just all wrong. I love National Azabu, but I’ve gotten lazy and just order online these days. My guilty pleasure is the basement of Isetan. I’ve tried taking pics down there but I get busted every time. 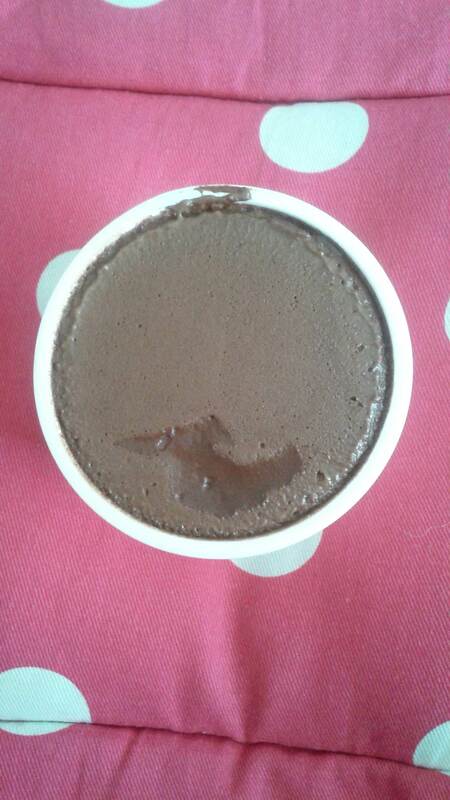 It looks like a mousse! So craving a chocolate mousse right now. That’s the thing with ‘healthier’ snacks – so expensive.